At least I had one pole- this is a somewhat unique view of Santa Clara’s Civic Center Park and Fountain. With the drought over, there’s water in the fountain unlike last time I came here. While I came here with a pole (mono-polar?) There was a guy in the corner of the park shouting insults at me as I photographed. I was a bit worried but he never came too close. Eventually another vagrant came buy and the had a shouting match beneath the gaze of Saint Claire and my new Sony A6500. Once again I’m on a mission. On a mission to add photos of the Central Coast to my picture library that is. Wasn’t that punny? 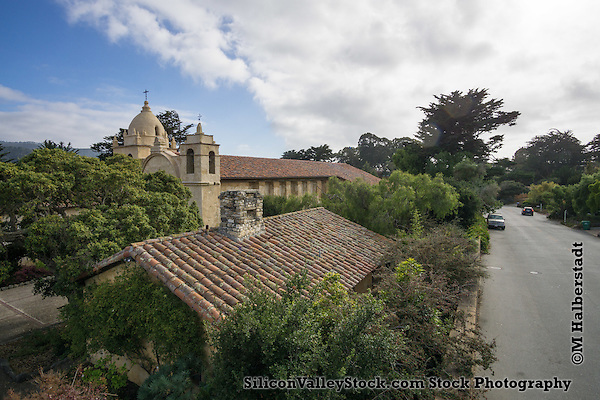 And here are a select few of the Mission Carmel in Carmel-by-the-Sea. Food trucks have been one of my go to subjects for stock photography. I’m quite fond of food for one. So, I headed out to Eat Real again for the 2016 festivities. You can see the photos here. I spend waste a lot of time trying to come up with witty remarks to post on this unread blog. So the line I came up that applies to this style of photography is: “Everything is Better on a Stick.” Get it? I’m trying to get photos that are different than everybody else’s. So I don’t have the closeups here, just overviews from above. Another thought has been brewing in my tiny little noggin about food trucks I thought I’d try and develop my thoughts here. Are you old enough to remember when live-work lofts were not trendy? The whole idea behind this concept was taking property that nobody wanted and developing cheap housing largely for artists and creatives. All of a sudden, wealthy hipsters with tech jobs saw lofts on TV and moved in from the suburbs to drive up the cost of artists’ residences so creatives could no longer afford them. This “hipsters ruin everything” concept has moved on to food trucks. Or that’s how I’m seeing it. This idea came to me as I was over by San Pedro Square in San Jose on farmers’ market day. There was a line of food trucks in amongst the fruit and veg. I was hungry and passed a falafel truck. There I noticed that a falafel- in my view a good, but very working class sort of food- and as I recall the (sandwich, pocket, or whatever) cost about $10. Now admittedly, I didn’t try all of these options. Maybe the food truck is by far the best. But my point here is that the idea behind “roach coaches” or the fancier offspring was to provide food on a budget for industrial parks and other underserved areas. Their raison d’être has been destroyed by the food truck trend. As a rule, food trucks shouldn’t be parked next to perfectly good established restaurants and charging even more for their produce. Please pardon this slightly off topic rant and if you’re looking for photos – let me know. From the outside, Fremont is a sleepy suburban city in Silicon Valley. Well, honestly from the inside that’s more or less true too. 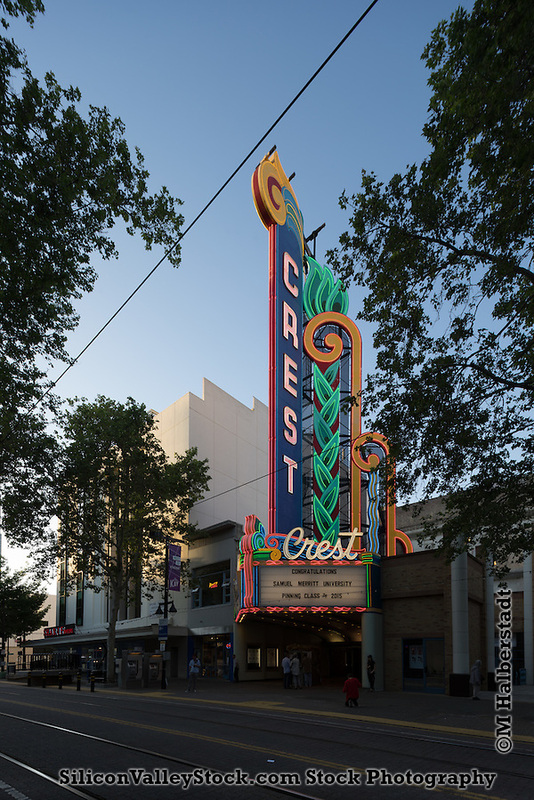 Though with a few quirks that make Fremont a fun place to explore if you live in the area. Dotted between the stucco homes and strip malls is a quirky views of America’s past and future. My journies to the past this time included my first stop: the Pioneer Cemetery of Centerville. Centerville is a neighborhood in Fremont now, but I assume it was a town at one point judging by some of the headstone inscriptions listing place of death as Centerville. Frankly the place was a bit rundown- and there was a major construction site nextdoor preventing too much rest in that final resting spot. One headstone listed a guy who’s year of birth was in the 1700’s- something rarely seen on headstones here in the west. From the cemetery I noticed what appeared to be an old train station behind me. Finishing up with the cemetery, I dragged my kit along to explore and low-and-behold it was a handsome little station that was converted to a cafe. The platform is still in use for Amtrak’s Capitol Corridor. On the other side of the tracks there’s a lovely little park with a covered historic railway waiting area. All was good, well except for one thing. I was thinking about this- there has to be a series of Murphy’s Laws for photography. The rule in play here was the attraction of dirty, ugly or aesthetically unpleasant stuff to the most interesting landmark. It could be the workers in fluorescent orange jackets cleaning up, traffic cones, the strategically placed utility pole blocking the best view of a facade. However in this case, it was a pile of garbage in a shopping cart underneath the Centerville train shelter. Presumably left by a homeless person, who either abandoned it or was coming back at some point, the cart had a undersized adult bike (popular with the druggies) and most unfortunately a filthy large *RED* sleeping bag partially unfurled. Otherwise the space was beautiful. I stopped in the cafe and got coffee and a snack. The lady inside said she recently bought the business. It was really cute inside as well, though empty- perhaps because the time of day- it was about noon on a workday. The coffee was really good, I’d definitely go back. Next stop was the Shinn Park & Arboretum. My timing was off, this would have been much better had I arrived earlier when the sun was less harsh. This looks like a grand old farmhouse that lost its farm to suburban sprawl, but gained some gorgeous gardens. I was presented with the Murphy’s Law of Photography again when a city of Fremont truck drove up and the dude in the fluorescent orange jacket ran around cleaning up. I’m keeping the Shinn park in the back of my mind for a place to photograph again and maybe get a picnic in on one of the pleasantly shaded tables. 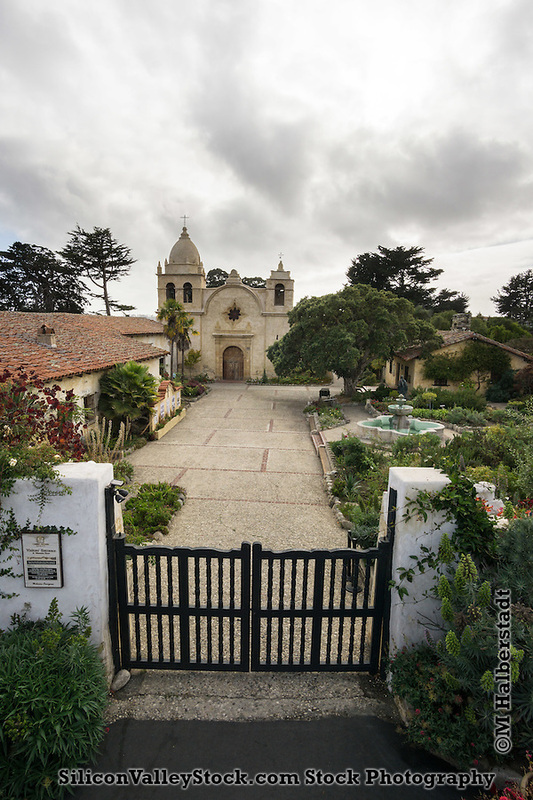 I headed back to familiar territory- Mission San Jose. Though I already have plenty in my photo library, I wanted to apply a few new techniques. I headed back to Niles- more familiar territory and after a few snaps managed to find a happy hour sign. The restaurant- The Vine had a $2 off drinks on tap, and they had not just beer but wine on tap. I couldn’t resist. I walked in only to find a surprisingly empty restaurant. However continuing to the back I found a bustling patio and enjoyed a chat with a couple of locals with a glass. My next journey was only a couple miles in distance but a huge cultural shift. If Fremont is known for anything it’s its South Asian population. There’s a substantial number of Afghanis and lots of Indians, Pakistanis and other nationalities and those with roots in the Subcontinent. I’d visited San Jose’s Gurdwara a number of times. In addition to being really interesting to look at and a pleasant variation from the middle American ‘burbs- the Sikh places of worship are great to visit. One major reason is that people are super-duper nice! And they are not camera phobic. Guys with turbans typically come up and say hi and tell me to feel free to photograph. But in this case in the Fremont Gurdwara in addition to all this- a gentleman introduced me as Sing came up and asked me if I wanted to see inside and have a meal? Well why not? He put a head covering on and handed me a dollar bill to drop into the offering inside. We chatted while sitting on the floor while I asked all the dumb questions about Sikhism and he did his best to answer. He then took me to the cafeteria and we drank chai and he gave me a few Indian sweets balls of sweetened ground chickpeas. I was a bit shy about taking any photos inside and don’t have a lot to show for this photographically, but it was an experience I really enjoyed. I’d hoped to get some of the neon Niles signs but they weren’t on- so last stop was the big Niles gate sign and I packed up and went home. But I’ll be back – no question! *This just reminded me, the presumably old train station sign gives the elevation- relevant to my previous post. The centerville sign reads 57 feet- and I checked with the tool from my previous post: 57.126 feet. Not a whole lot of sinking below sea level. It’s that time of year again. I’m out photographing all things self-driving in Silicon Valley. Living in Alameda as I do- I have a tricky relationship with Oakland. For those not familiar with Oakland and Alameda let me give you the Cliff Notes version. Oakland is a city about half the size of, and located across the bay facing east from San Francisco. 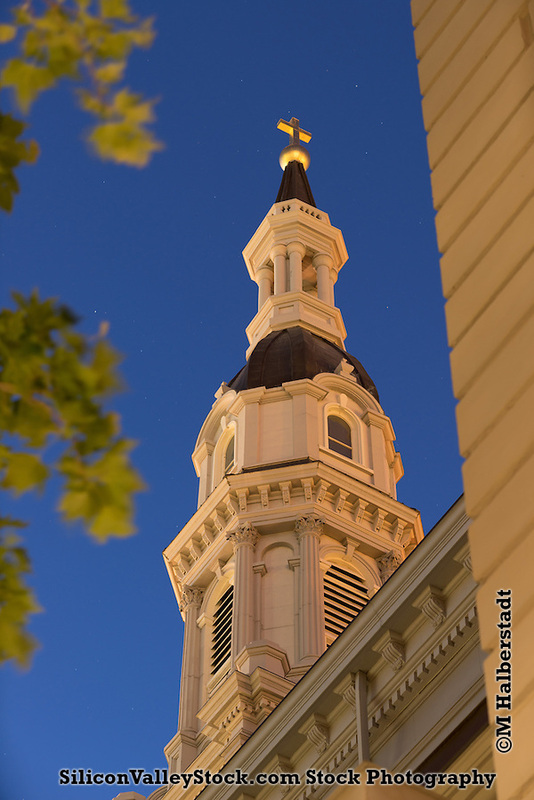 It’s a beautiful city, full of architectural treasures and bustling urban textures and cultures. Oakland also suffers from a very high crime rate. By contrast Alameda is sleepy suburban island city that was separated from Oakland artificially to make way for a shipping channel for the Port of Oakland. Alameda is known for being very different from Oakland, despite being minutes away from Oakland’s urban core. I really love Oakland, but am apprehensive of letting down my guard and drag my expensive camera gear along. Not in some areas- including some of the most beautiful: the hills, Mountain View Cemetery, Jack London Square. After signing up for a bunch of extra insurance and splitting up my camera kit, I’ve opted to venture into Oakland’s urban core and start documenting whatever we call the state of the city of Oakland now- between poverty and gentrification, dilapidation and renaissance, beauty and destruction. A few areas I’ve covered thus far… the rooftop garden of the Kaiser building. Pretty cool having a tranquil garden and pond atop a large downtown building. Another area I’d covered in the last few days is around Lake Merritt. I’d done some research to find there are a few points of interest I was unaware of. For example, there’s a bonsai garden there. It happened to be closed (despite the stated hours) the first day I went but open the next. Also around Lake Merritt is Children’s Fairyland and the WPA gem of a Alameda County Courthouse. I’ve got plans to go back, there’s so much to cover! An email came out of the blue, a photo request from a previous client. They were looking for a specific train at the State Railway Museum in Sacramento. I wasn’t by my computer at the time and knew I had a few photos of trains in Oldtown Sacramento where the museum offers excursions on historic trains along the Sacramento River. I sent her a note that I’d have a look. Further research that the train in question, the Granite Rock Number 10 just arrived at the Museum. What to do? 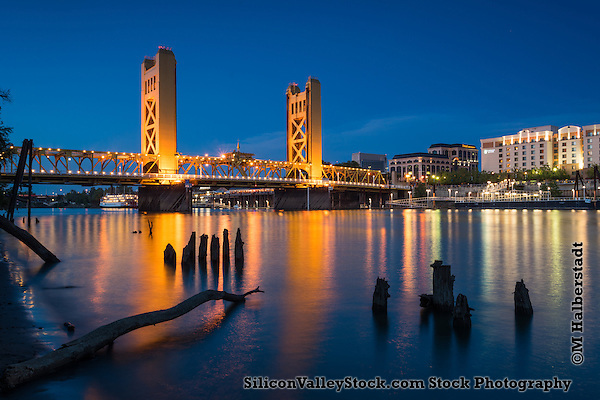 How about a weekend in Sacramento?! Hotels.com screwed up our hotel royally in Athens last summer and gave us a voucher for $100 that was soon to expire. So I booked room at the Rodeway Inn in West Sacramento within easy walking distance of the Museum and the train’s likely path. That Friday I got started. After checking at the hotel I went over to the museum to ask about where to find the train. The young man told me I was in luck if I was here over the weekend, since the Granite Rock Number 10 Steam Engine would be escorting rail fans on a short trip along the Sacramento Riverfront. I walked around Sacramento’s downtown. Aside from the heat, seems like it would be a nice place to live. 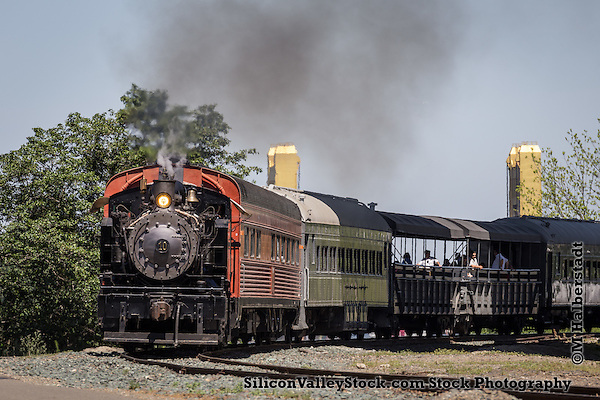 Over the course of my stay I got quite a few useable panos, stock photos of Sacramento and hopefully my client will be impressed with my image library’s newly added train photos. 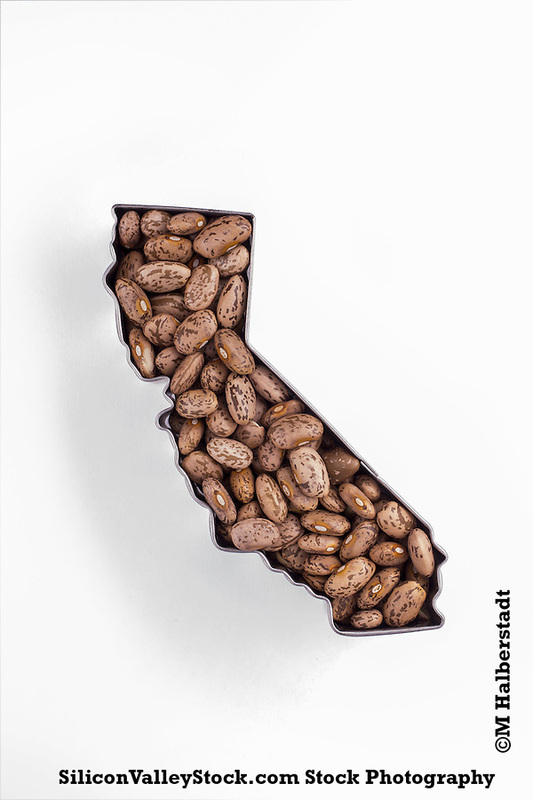 California is Full of Beans! 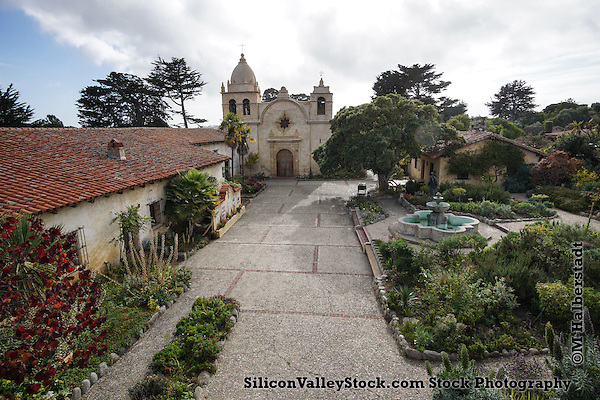 Warning: This post actually has nothing really to do with Silicon Valley! Some time ago I ordered some cookie cutters with the intention of making some stock photo artwork. The idea was to shape other objects into the shape of states. I had a list of things I thought would make for a cool juxtaposition, but not all really worked as planned. My studio lighting setup is less than ideal, and our studio is a bit of a mess much of the time, which also kept me from finishing up this idea. Recently my studio mate needed to darken our windows for one of his projects and it so happened that I just got an LED video light. So “painting with light” seemed like a good way to approach this subject. If you aren’t familiar with the concept, you can take a long exposure and move a constant light source around your object for a unique result. I’m pretty happy with the lighting, though I hadn’t factored in the reflections from the metallic sides. What did seem to work easily were a few agricultural products that fit nicely in the state frames. I poured a few different types of beans with varying success- coffee and pinto seemed to work best. I have a list of other ideas what to stuff to frame up in the shape of California, and other geographic boundaries. But until you see them here, I’m gonna keep ’em secret. Author Michael HalberstadtPosted on 14/02/2015 Categories California, Studio PhotographyTags Beans, California, coffee, coffee beans, Oregon, painting with light, State, StudioLeave a comment on California is Full of Beans! 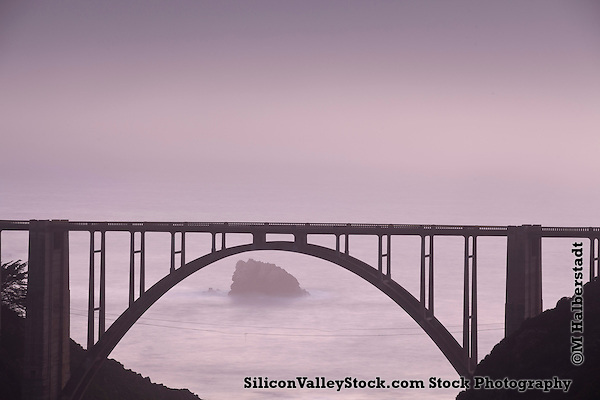 Above is a slightly different view of the iconic Bixby Bridge on California’s Central Coast. I went down shooting stock photos and ended up stopped on a dirt road behind the bridge marveling at how much the weather changed in the short couple hours I waited for the light to change.